Private business conglomerate Vingroup announced on June 12 its plan to produce electronic devices, firstly smartphones under the brand of Vsmart. Together with VinFast automobiles, Vsmart mobile phones produced by Vingroup are expected to boost the domestic industry’s development in the future. To this end, Vingroup established VinSmart Company with chartered capital of 3 trillion VND (around 132 million USD). The newly-formed company will operate in two major fields: manufacturing electronic equipment and conducting research, experiment and application of artificial intelligence (AI), automation and new-general materials. 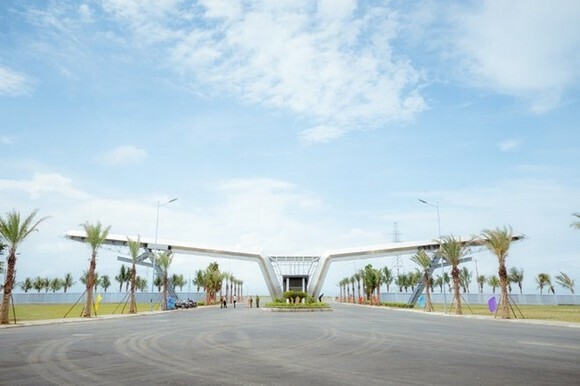 The Vsmart mobile phone factory will be built at the VinFast automobile and electric motorbike manufacturing complex in the Dinh Vu-Cat Hai industrial park in the northern port city of Hai Phong. The group is working with leading world companies to hire consultants, designers and experts, and purchase design copyrights for components of smartphones as well as production lines. Vingroup Vice Chairman and General Director Nguyen Viet Quang said the plan affirmed the conglomerate’s resolve to build up knowledge- and science-based production, thereby helping to enhance the national economy’s efficiency. The company is expected to make public its first electronic motorbikes in September 2018. Meanwhile, its SUV and Sedan automobiles are scheduled to be introduced to the market in the second quarter of 2019. VinFast is also hoped to heat up the local market with electronic automobiles at the end of 2019.